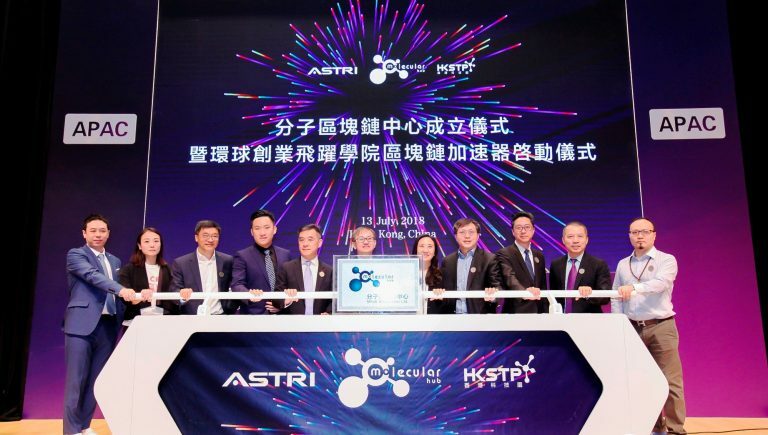 ASTRI is partnering with the Hong Kong Science and Technology Parks Corporation (HKSTP) and Molecular Hub, to launch a Blockchain-focused accelerator programme for start-ups. The programme was launched today, 13 July 2018, in a ceremony held at Hong Kong Science Park. ASTRI, a key partner in the programme, will build and enhance technological know-how and capabilities of the participating start-ups, providing them with Blockchain-related training. The start-ups will also be able to leverage ASTRI’s R&D infrastructure by accessing the facilities of the Smart City Innovation Centre operated by ASTRI. 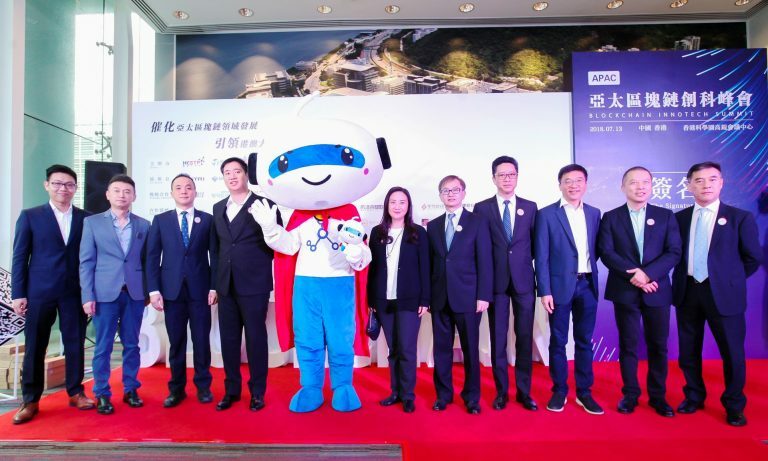 Other dignitaries present at the event included: the Honourable Dr Elizabeth Quat, BBS, JP – Member of the HKSAR Legislative Council, as well as senior leaders from HKSTP, ASTRI, Molecular Hub, leading investment and venture capital firms, prominent FinTech firms and other technology companies. The programme focuses exclusively on Blockchain technology development and also other applications such as Smart City solutions. The programme plans to start its worldwide recruitment in August, with the official launch expected take place in November 2018. The other partner in the programme, Molecular Hub will help the start-ups to explore and untap Blockchain-related opportunities along the Belt-and-Road markets including China.